Pennsylvania’s Best Golf…2019 is right around the corner! We have joind the Golf Association of Philadelphia for the upcoming 2019 season! Sign up for one of our Passholder Programs for the 2019 season after October 1st and enjoy the rest of 2018 on us! If you’ve been waiting for a golf Passport Options that lives up to the highest standards, then Wyncote Golf Club has your program waiting. From its inception, Wyncote has received awards and national recognition rewarding us with a reputation unmatched in Pennsylvania. The comprehensive Passholder options at Wyncote Golf Club were developed to ensure you enjoy the ultimate golf club experience. 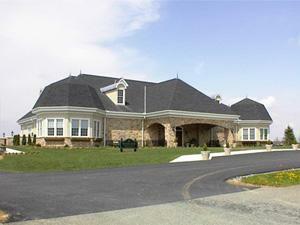 Play the course Golf Digest called “The Best in Pennsylvania” and has continued to rate 4 stars since opening in 1993. In 2009-11, Golf Digest rated Wyncote as a 4 1/2 star facility. Golf Magazine rated Wyncote 5th best public course in PA. for 2014. As a Passholder, there is no limit as to how much golf you can play! Full service Pub offering beer and spirits. The Ball and Thistle Pub is open for lunch and dinner. Bring your guests or clients for a pleasant dining experience. All Passholders will receive a complimentary locker. All Passholders will receive a U.S.G.A. handicap as part of their membership.